Best Life Chiropractic is a state-of-the-art chiropractic practice, designed to assist you and your family in living your life to the fullest, by helping you naturally, through corrective chiropractic care, nutrition, rehabilitation and lifestyle changes, avoiding unnecessary drugs and surgery. We offer a comprehensive whole body approach to your health and healing. All chiropractors are able to relieve symptoms, but the doctors and staff at Best Life Chiropractic will search for the true cause of any health condition and design a specific plan of action for each patient. We specifically provide our care in the way we do for a simple reason. We care about our patients' overall health and their ability to achieve optimum results. We're passionate about what we do, and our soul purpose is to help you live a life of optimum health to allow you to live your soul purpose. TRUE HEALTH FOR YOU AND YOUR FAMILY? 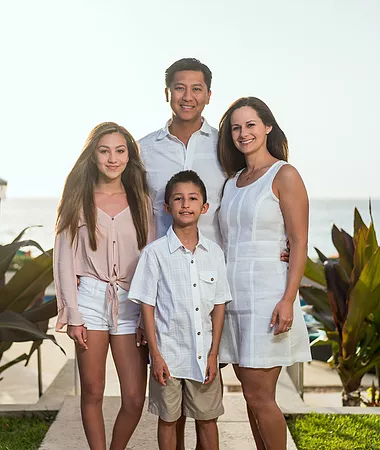 At Best Life Chiropractic and Wellness Center, it is our priority to guide you and your family to living a life of extraordinary health and wellness! Our office is different because we actually work to find the cause of the problem and treat every patient as an individual. Combined with our sate of the art approach and over 12 years of clinical experience, we have helped thousands of patients get off of their unnecessary medications, avoid surgery and regain their health. Regardless of where you are at with your health or what you have tried, don’t lose hope! Come in for a comprehensive evaluation and find out how we can help you. We utilize a state of the art exam combined with before and after x-rays so that the physicalimprovements of the spine can be seen. We use the latest state of the art research andtechnology in spinal research and postural regeneration. Our goal is to help your body achieveits God given health potential so that you and your family can live healthier and happier...liveyour BEST LIFE! You can expect the highest standards of professional care and personalservice during each and every visit. THANK YOU FOR HELPING US STAY THE BEST!